Why We Should Do Diving or Snorkeling? A lot of people who doesn’t familiar with diving has the same question. But to answer it is very easy. There are many reasons what should do on diving or snorkeling. But some people might not into water adventure or even they were actually loved it, but haven’t tried to do it yet. Here are the reasons that hopefully will inspire you to do these two on your next holiday. Being the diver or play into the water is sometimes a person’s personal hobby. If they already liked it, they would enthusiastically dive or snorkel as they please. Around 70% of the earth consists of ocean. By learning diving and snorkeling all over the water also allows you to see what is behind the world that we haven’t yet to know. Discovering the underwater world is completely different than the above which people usually know. And it was really an amazing experience to have. To find lots of fishes with each different species in their natural habitat and every unique shapes of corals is truly something. You will find corals with shapes like branches, mushrooms, noodles, even brain as well. There are fishes might be different kind also from their shapes and sizes. If you have in mind to go diving or snorkeling, that means you have a bigger chance to have a place to escape from all the noise, the traffic and the troubles in the reality. When you’re below the surface, all of your attention is focused on breathing and enjoy seeing the beautiful views on it. No emails, no phones to respond. Another best thing is that, when you are having to deal with gravity, by learning to dive makes you to feel like yourself is neither sinking nor floating. Great thing comes when you’re mastering yourself for non-verbal communication. Most of the divers learn communicating under the water with no words. It is very handy to have ‘the hand signal’ if you want to signal your partner to leave the surface. Diving and snorkeling are not just about experiencing underwater and having fun, but also these helps you to improve diving skills, and of course control proper breath when in the water, plus burn some calories from it as a good cardio exercise. Another reason is that, this shown healing effects to most people. It is very beneficial for your skin as well. Many friendships have started during fun dive. Wherever you dive, you will always be in a great company. Even if you are newbies, you will find yourself surrounded with people who experienced and eventually you all share the same passion for the ocean and connected to each other. The beauty and uniqueness for all creatures beneath the sea is rock solid. 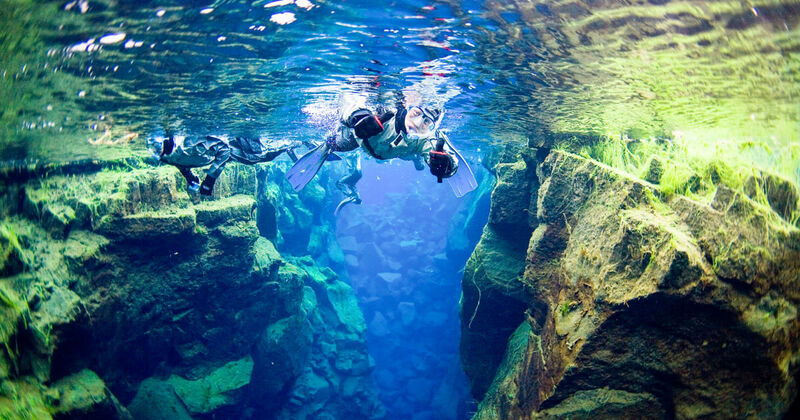 From that, you will realize that diving makes you feel connected and equal to the nature. Diving and snorkeling are parts of the great activity plus positively beneficial to everyone who had experienced it. It also taught us to learn what is beneath the ocean, to try something new and learn to appreciate the underwater life as well. There are also million reasons to go diving or snorkeling. Look up! What reason more convinced you?